Document destruction, specifically secure document destruction, is vital to a number of business ventures in the San Diego area. This is not just simple paper shredding, but specific paper shredding services from specialty companies such as Southern California Shredding. 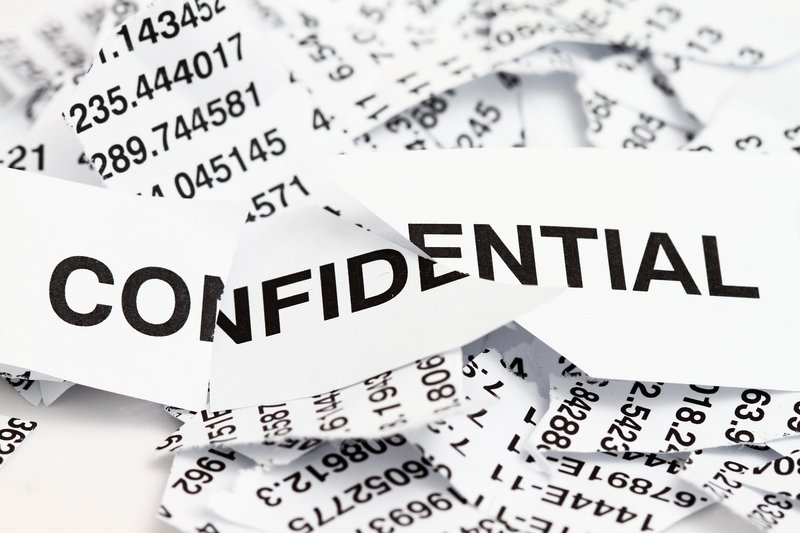 Companies that need document destruction understand the need to secure confidential and secret data. However, most companies do not the infrastructure or licenses to ensure that their document destruction procedures are truly secure. In this case, it is vital that these companies seek professional paper shredding services. By why exactly are these services necessary? Southern California Shredding services ensure that the document destruction process is performed by professionals with a very in-depth knowledge of the regulations surrounding document control. The facilities for drop-off are securely guarded, and mobile shredding trucks that will go anywhere in the San Diego area ensure that document destruction is performed onsite for increased protection. Southern California Shredding provides a certificate of document destruction for every service. This ensures that the customer requiring paper shredding can have proof that their documents were securely destroyed. This can help to release liability and establish accountability if there is a possible information breach. Not every paper shredding company will offer this type of certificate, but it is important to have this proof of work done to ensure liability mitigation for the customer. Often contracting out document destruction services is cheaper for the customer. Maintaining proper in-house facilities and machines for document destruction can be cumbersome for small to medium-sized companies. For those without the necessity for these in-house facilities, paper shredding through Southern California Shredding is the more affordable option. Companies that wish to maintain in-house document destruction not only need to maintain procedures and facilities but must also figure out what to do with the waste. In addition, employees will be needed to perform the document destruction, which may require training and certification. For companies that don’t want to maintain the facilities and personnel to perform document destruction, Southern California Shredding provides convenient services that can even come on-site to perform the paper shredding without requiring any effort by the customer. Southern California Shredding not only maintains a number of green energy vehicles but also maintains a commitment to transporting non-shredded material to a recycling center as part of the provided services. San Diego companies operate in very green-focused centers, and Southern California Shredding offers companies a chance to make their document destruction process green as well. Secure document destruction is vital in the operation processes of many companies in the San Diego area. There are many reasons why professional paper shredding is the right choice, and only a few are covered above. When only in paper shredding and document destruction is required, there is no better choice than Southern California Shredding. Contact our office today for more information.